A dark midwinter's night in an ancient inn on the Thames. Replete with folklore, suspense and romance, as well as with the urgent scientific curiosity of the Darwinian age, Once Upon a River is as richly atmospheric as Setterfield's bestseller The Thirteenth Tale. A dark midwinter's night in an ancient inn on the Thames. The regulars are entertaining themselves by telling stories when the door bursts open on an injured stranger. In his arms is the drowned corpse of a little child. Hours later the dead girl stirs, takes a breath and returns to life. Is it a miracle? Is it magic? Or can it be explained by science? 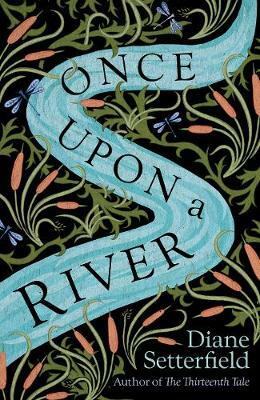 Replete with folklore, suspense and romance, as well as with the urgent scientific curiosity of the Darwinian age, Once Upon a River is as richly atmospheric as Setterfield's bestseller The Thirteenth Tale. Diane Setterfield's bestselling novel, The Thirteenth Tale was published in 38 countries, sold more than three million copies, and was made into a television drama scripted by Christopher Hampton, starring Olivia Colmanand Vanessa Redgrave. Her second novel was Bellman & Black, and her new novel is Once Upon a River. Born in rural Berkshire, she now lives near Oxford, by the Thames.